There are times when we just need everyone to shut up. But, of course, it's not polite to actually say this. It is important to remember that everyone wants to be heard and acknowledged. Unfortunately, this basic human need overshadows civility at times. 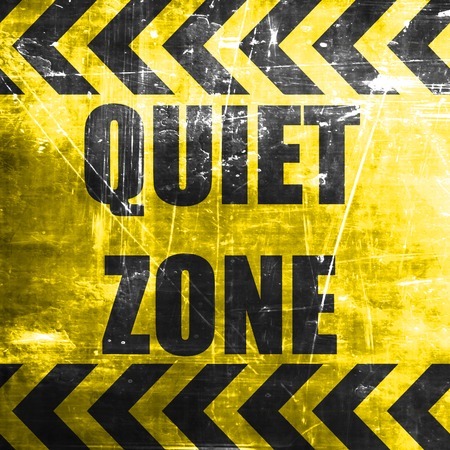 Situations that call for one noise to be heard over another, or for complete tranquility, require that everyone involved be mindful of the goings on around them. In the absence of mindfulness from one or both parties involved, etiquette must intervene. At times when silence would be golden, the request for it can come across as rude as the noise violation itself. A relative recently shared that when performing in a choir, she saw that some of the members didn’t realize the choir’s performance was about to be recorded and were talking. Too far away to get their attention by speaking, she made the "zip it!" sign with her fingers across her lips. They frowned and were silent, and later they expressed resentment. She tried to explain, but that annoyed them more. The question posed to me was: "Why were the girls so angry afterwards as I tried to explain myself?" Has this ever happened to you? You said something that is interpreted as sarcastic or inconsiderate. There was a perfect explanation and you didn’t mean to cause harm. If you do make a “zip it” category blunder, what’s required is to first apologize without attaching the explanation to it. To the upset girls in the choir, Hannah might say, "I’m very sorry that I made the 'zip it' sign." [pause] "I didn’t mean it the way it looked. I was trying to save us from having to begin the song again." Whether you're in church, a book reading at a coffeehouse, or an outdoor concert, when people close by are chatting loudly you become aware that you need to say something. Setting a good example yourself. Are you exhibiting the behavior you are requesting? If you know one of the people and feel comfortable doing so, walk over and greet her and, extending your focused glance around the group, and smiling, ask them if they could lower the volume level a little. Be sure to say, “Excuse me” first, as you are interrupting their conversation in order to lodge your request. If the noise continues, mention the interruption to management if the situation allows. "Put a sock in it!" And, of course, "Zip it!" But actually saying these to someone can have unpleasant consequences if you don't know the person extremely well, or if he is lacking in sense of humor. Use your words and good manners wisely when making a request for lowered volume or silence. Strive to always give courtesy and respect, whether or not you receive them.